I'll show you mine; you show me yours. We asked this year’s class of Most Influential Business Women to tell us about the pair of shoes that best describes them, and more importantly, why. 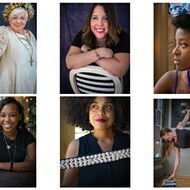 While some in the newsroom initially balked at the idea, it turned out to be the perfect filter to show readers the best qualities of these 25 spectacular business women. Can't imagine why anybody in the newsroom thought that was a bad idea! But, OK, let's accept the premise. So that's me. 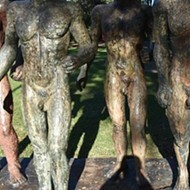 Laid bare for all to see through the infallible filter of footwear. How intimate. 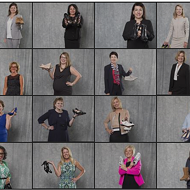 Curious, though, is that while digging through the Business Journal's online staff directory, I couldn't find one photo of Brennan holding his shoes aloft for the Internet to analyze — just one shot that oddly only shows him from the chest up, and like, no footwear in his hands. How are we to take this man seriously without knowing what he puts on his feet each morning? Since the RFT's critique of the Biz Journal piece went live this morning, we've seen a deluge of men sending us photos of their own footwear. Keep 'em coming, guys! But we've yet to get a shoe pic from the Journal's M.E. Which makes us wonder: What could he be hiding? You wearing some penny loafers down there, Vince? You think you're a real big shot, huh — keeping money on display in your shoes for the world to see? Is it those stupid so-called "shoes" that fit your feet like gloves? Those things just scream "sometimes I like to work with my feet instead of my hands, like a monkey. I have great coordination and dexterity with my toes. Watch me pick up this pencil." Crocs? Is it Crocs?? How dare you! I say good day, sir. 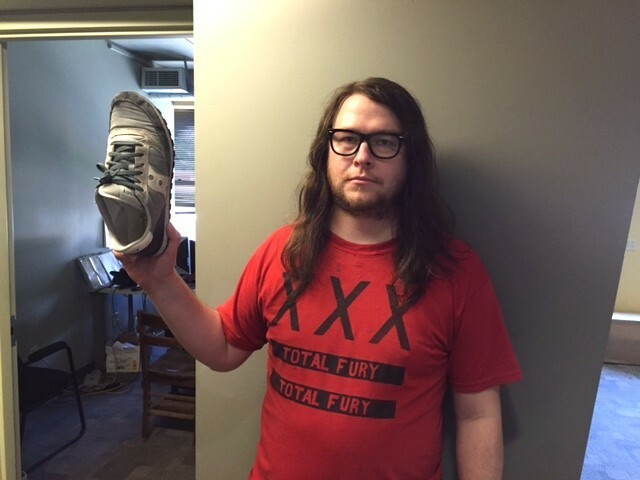 Daniel Hill is the RFT's music editor; he buys used shoes at thrift stores because he is cheap. Follow him on Twitter at @fatrobocop and @rftmusic.